Why has no one ever told me to go to Cerridwen's Cauldron? I must have been living under a virtual rock, for missing this place! 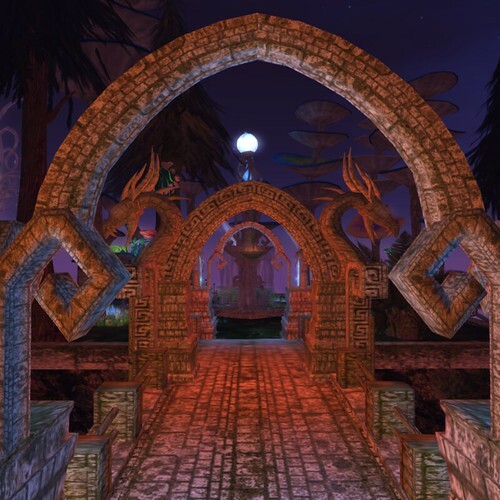 It was during Madpea's hunt for the Lost Treasure of the Inca's that I finally came to Cerridwen's Cauldron first time and recognised the building style of Titan's Hollow - my favourite sim at the Fantasy Faire last month. 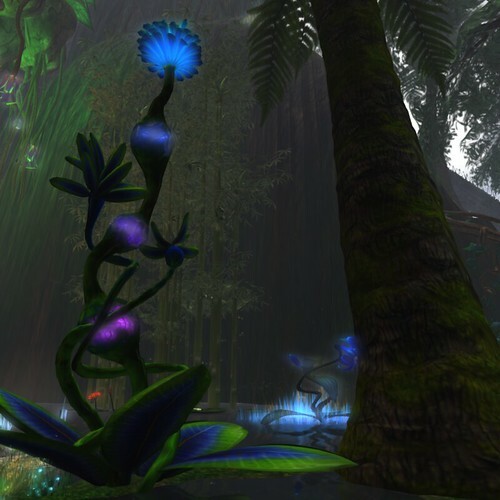 So this is where those magical glowing plants come from, that you can see all around the grid! 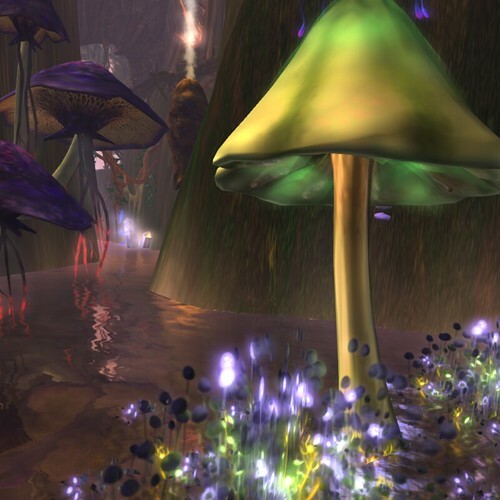 After finishing the Mad Pea hunt I didn't wait long to revisit and explore the whole Cerridwen's Cauldron sim. 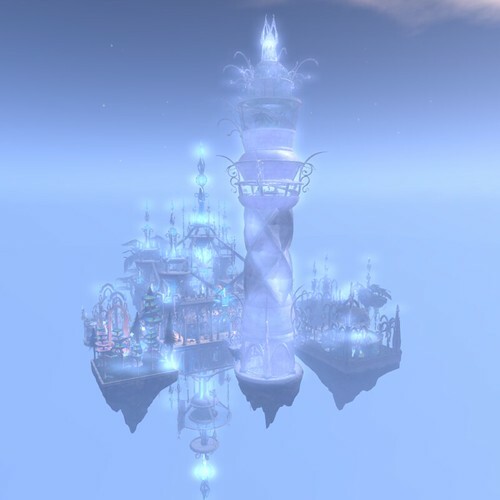 When you search for Cerridwen's Cauldron, you'll find a teleport that takes you to the shop building, that's floating in the sky. In the building are several displays that show the products from the vendors - trees, plants, mushrooms and much more. There's a garden, a swamp and an amazing aquarium where you can dive in with a splash. 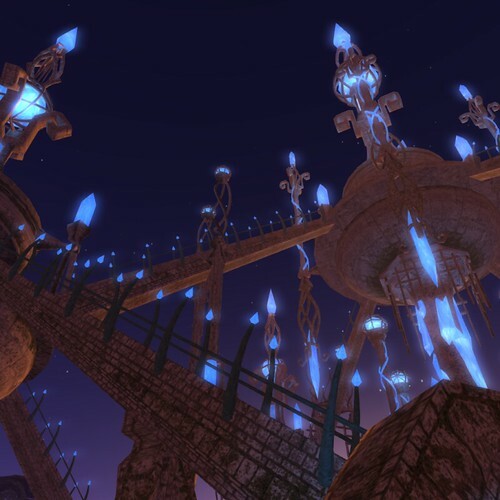 All destinations can be reached by the teleporter at the landingpoint, but I'd recommend walking if you don't want to miss any part of the wonderful building. 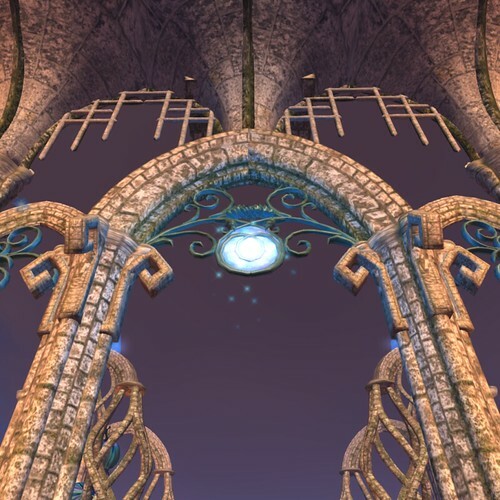 The teleporter is useful though to reach the groundlevel, where is much more fantasy goodness. On a big mountain stands a temple, surrounded by surreal plants. But the best part is inside: not inside the temple but inside the mountain! You'll find a few gaps in the mountain wall, that lead to a giant cave, filled with lava spitting plants, bright crystals, glowing mushrooms and a couple of creepy spiders. Via narrow bridges and rope ladders you can descend to sea level and walk out of the cave to find yourself in a tropical swamp. 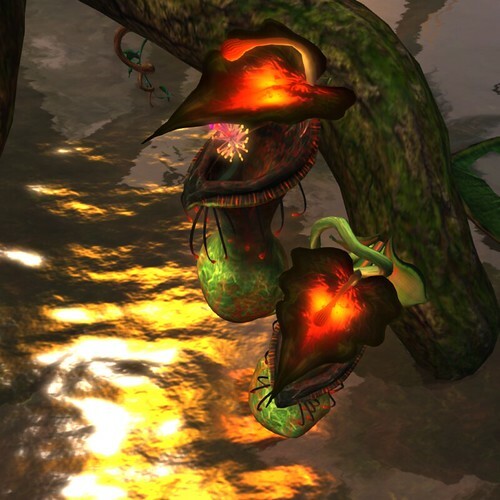 Here you can enjoy the superb plants from Cerridwen's Cauldron collection in a natural setting. I'm definitely going to buy some of those to decorate the empty part on my parcel! The imaginative creations and not-possible-in-real-life buildings make this sim one of my instant favourites. My photos show only part of all the beauty to be seen. You should visit it and explore it to get the full impression. Here's your taxi to the sky building. Here's your taxi to ground level.